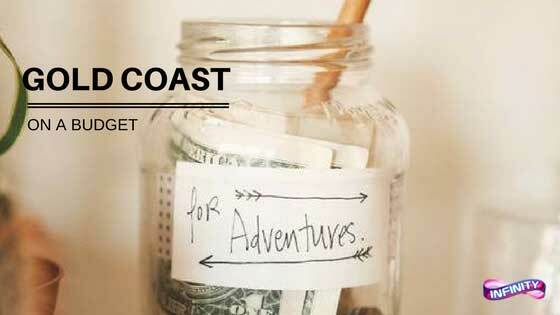 Its no secret that there is a whole heap of fun things to do on the Gold Coast, but a lot of these activities can be quite costly! When the budget gets tight, it can feel like you have no option but to sit at home. As it turns out, there are actually plenty of things to do on the Gold Coast that wont break the bank! If there is one thing the Gold Coast is famous for its having spectacular beaches. Start at the top and work your way down the coast! Take a dip at every beach from Main Beach to Coolangatta, you wont be disappointed! As well as a fabulous coastline, the Gold Coast also boasts an impressive hinterland. Natural beauties like the Currumbin Rock Pools are well within your reach. On a hot day these natural pools are the perfect place to take a dip! If the weather isnt right, they are a pretty location to explore just the same. Prepare to be amazed as you make your way through the outrageous world of INFINITY. This crazy maze is enough to entertain all walks of life! From mirror worlds to life-size kaleidoscopes, every step will wow you and leave you wondering. This wacky attraction is available all from the incredible price of $16.10! Who needs the theme parks when you have INFINITY for a fraction of the cost. Paddle boarding has been a craze on the Gold Coast for the last few years! This water sport requires a bit of balance and little physical effort. Once you master the art of paddle boarding you will find the time extremely relaxing! The best part? Paddle Boards are only around $10-$15 an hour to hire! (trust us, you wont need more than an hour). If its a weekend you are looking to amuse yourself for, then there are no shortage of markets on the Gold Coast! While entry is free you may find it hard to keep your hand out of your pocket here, so only enter if you have a little willpower! Even just for a look the Gold Coast markets are something to see, usually with a little entertainment from local bands, adding to their value! Whether its Surfers Paradise on Sunday, Wednesday or Friday, Broadbeach, Burleigh or Coolangatta you are sure to find a bargain! Unleash your inner barefoot bandit and embrace your geriatric side. Burleigh Heads Bowls Club hosts Barefoot Bowls on a Sunday Afternoon! Admission is just $5 per person or free when you join as a member. Membership is also $5, but gets you cheap drinks and is good for a year! (While we are on the cheap train, these guys do an awesome breakfast buffet on Sundays too).